Q: We’re planning a surface bathroom remodel. 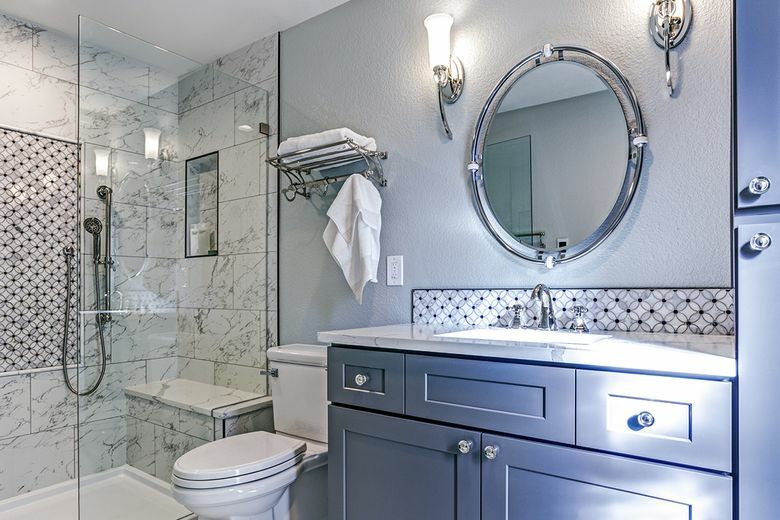 We’ll change the toilet, vanity sink, faucet, towel bars and lighting. No opening up walls or changing rough plumbing. We are on a budget and would like to add some extra flair to this project — any cool ideas? A: If you’re on a tight budget, I do have advice on getting some bang for your bathroom buck. It is a simple concept called “collection fixtures,” a trend that is catching on. Some manufacturers have added optional accessories that are available with select faucet lines. You can pick out your favorite faucet and add things like perfectly matched towel rods, toilet paper holders and robe hooks. Since the fixtures are made by the same company, the finishes and styling allow everything to tie together for a custom look. Recently, lighting fixtures have been added to many bathroom faucet collections — now that’s a bright idea.